If you want to lose weight, the simplest way is just to lessen your caloric intake. Because of this logic, several products exist claiming to be capable of doing exactly that. One popular option for dieters is meal replacement shakes. These are usually rich in protein to build lean muscle mass and low in carbohydrates. Currently, the weight loss market is filled with various types of protein shakes, which makes it harder to choose. In this article, we will talk about a brand of product that’s popular amongst other protein shakes. This is the Special K Protein Shake. Continue reading to be further enlightened about the product. This product is a breakfast formula that is created to help those who want to lose weight control their hunger. This also helps then handle their caloric consumption. Special K Protein Shakes are rich in proteins and low in carbs. The developer of Special K Protein Shake takes pride in the product’s capacity to give users sufficient energy and nutrients in the morning when you can’t have breakfast because you’re always in a hurry. Through Special K Protein Shake, you fill yourself up in the morning with this shake and at the same time you also support your weight management plan. 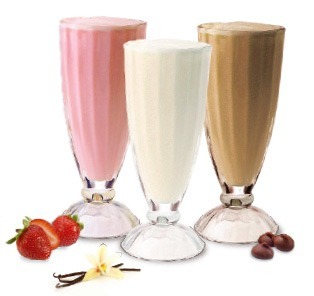 Available in chocolate, strawberry, and vanilla, Special K Protein Shake claims to help you lose weight if taken consistently. Special K Protein Shake’s company asserts that this product decreases your appetite, which in turn enables you to shun carbs away. If you keep up with this habit, that is avoiding carbs, then you ultimately lose weight. The company has also set up a “Special K Challenge” an online program created with the goal of encouraging customers to trim down their caloric consumption by trying Special K Protein Shake. This online program helps dieters who want to see immediate positive results while taking the product. Recommendations, tips, and recipes are being provided on the site to be of service to any who needs them. Special K Protein Shake is developed by Kellogg’s, a company that does not need any introduction. Though it is mostly known for its line of cereal products, Kellogg’s actually developed other products as well. It was founded in 1906 by W. K. Kellogg and has since prospered in the industry. Special K Protein Shake and the product line it belongs to were recently launched with such products as crackers, breakfast bars, cereals, and shakes. Essentially, Special K Protein Shake consists of protein, fiber, sugar and fat. These are the four principal components of this product. It also consists of Vitamins A, D and B as well as the minerals sodium, potassium, manganese, chromium, and magnesium. Proteins in Special K Protein Shake come from whey and soy. Their main function is to support users in muscle growth and repairing of damaged tissue. The total amount of protein in Special K Protein Shake is 10 grams. It is quite a surprise that the sugar level (18 grams) in Special K is higher than that of the protein while the total caloric amount in Special K Protein Shake is 190, which is normal. Lastly, fiber content in the product is 5 grams. Fiber helps in slowing your digestion and carrying fat residues outside the system. How Does it Encourage Weight Loss? Special K Protein Shake functions along with the principle that weight loss is achieved by the reduction of caloric consumption. In this sense, the product helps you lessen your intake of calories without making much trouble as you don’t need to work out or do any fasting. Thus, continuous use of Special K Protein Shake will help you lose weight over time as you reduce your caloric intake regularly. There’s nothing on Special K Protein Shake being studied scientifically. It only functions on the overall concept that caloric reduction and muscle growth increases the chance of losing weight. There’s also no information addressing this question. We only know for a fact that this is not necessary because Special K Protein Shake is neither a medication nor a supplement. They’re just packaged goods, so an FDA approval is not crucial. Besides, Special K Protein Shake is made by Kellogg’s, so its safety and quality can be assumed coming from a reputable company. A pack of six bottles costs $29.94 on Amazon. It is not indicated if there’s a money-back guarantee after buying the product. However, there was a scenario where the company gave out refunds to customers after recalling one of their products that was already distributed. This being said, you may be given a refund if you have a strong claim. There could be bloating and cramping. This is caused by the whey protein, which will trigger the side effects if used in large quantities. However, this doesn’t mean you will instantly feel these side effects when taking Special K Protein Shake, but do take this product with caution. You can buy it on Amazon for $29.94 and in many supermarkets in the US. If it’s not available in the store near you, check the company website to find a store in your area. On Amazon, over 200 customers left their reviews and 153 of them gave the product 5 stars. Overall, Special K Protein Shake got a rating of 4.4. Most reviews of the product are optimistic. If majority of the users are happy with Special K Protein Shake, you probably will be, too. This product has all the right features to be considered by you. First of all, Special K Protein Shake is developed by Kellogg’s, an established and well-known company in the world. It you want to lose weight by lessening your consumption of calories, Special K Protein Shake is one of the solid choices you must consider. You won’t be sorry you did.